Happy Monday, I hope you guys had a fabulous weekend... !? We made the most of the summer again with picnics by the river, walks along the beach and a lovely fish'n'chip supper in the park... Not so many pictures taken this time though, just because I wanted to switch off a wee bit and not be thinking 'ooh, that would make a lovely blog post!' every time I saw something pretty... you know what I mean... !? Anyhoo, today I am being drawn to these hot red and cool blue picks from our fabulous 'all colours in' Flickr pool. I spied most of them up on the front page this morning and thought they looked great together... 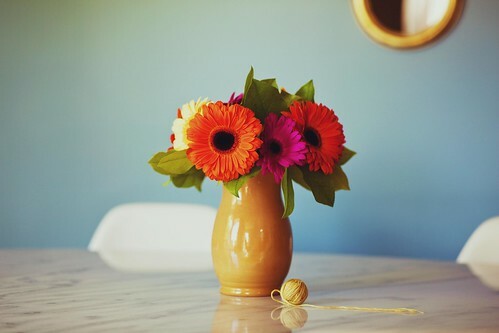 I always love fresh flower arrangements and Smilerynker's bedroom pic is just fabulous. Those braided headbands look so cute and I am always a sucker for rainy day bokeh, or really any kind of bokeh shots like this... ! Thank you to everyone for your submissions to 'all colours in', you guys are such an inspiration... ! 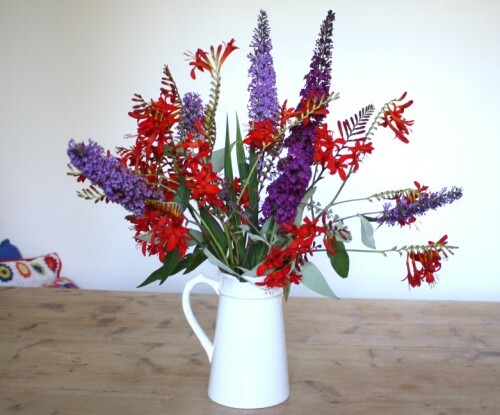 Happy to be in your lovely blog! :) a wonderful monday to you! What a wonderful word! Bokeh :) First time I've ever come across it and I'm loving it - thanks Emma! 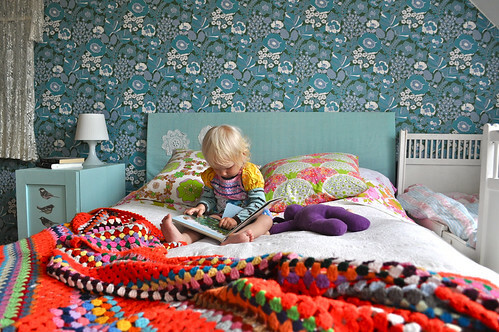 I want that bedroom - this really has coloured my Monday happy! Lovely finds :) Artoleria's headbands are so cute!